The original Rage wasn’t a great open-world game. Its structure consisted of a few different zones through which you were led on quests, but no more than a few at a time. The story was bland and generic, and there were no memorable characters, not even the one voiced by John Goodman. None of that mattered, though. Rage was an id shooter, with all the elements that make those games great. The weapons were weighty and powerful. The reload animations were delightful. The visuals were impressive. The driving had a simple, arcade-y feel: it felt like id’s style of gameplay applied to driving, exactly as should have been the case. I had fun playing it, and am still more than willing to forgive its shortcomings. I am also willing to forgive Doom 3’s weaknesses because of its satisfying corridor-shooter play. In other words, I love id’s FPS vibes. If I get them, I’m happy. Yesterday, Bethesda officially announced Rage 2. Today, the company revealed more on the gameplay and story. 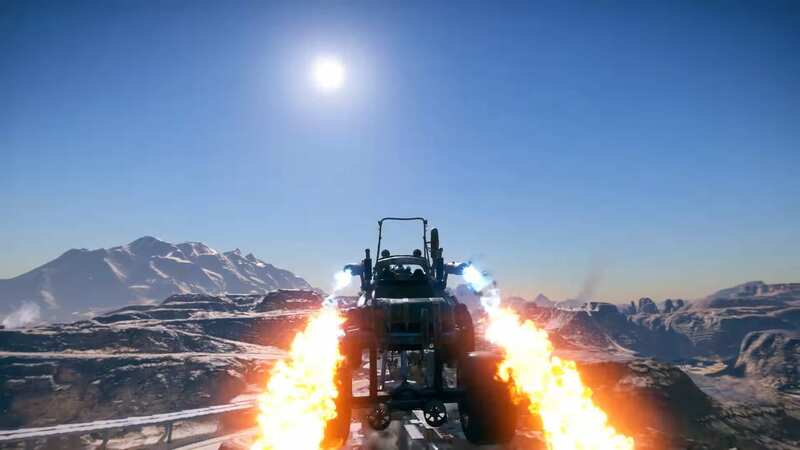 They also confirmed that id, as well as Mad Max’s Avalanche Studios, are working on the title, and revealed a 2019 release window and the PC, PS4, and Xbox One as platforms for release. The setup of both games are the same: you are in a wasteland created by an asteroid collision with Earth. Different groups of bandits hold their own territory and fight for precious resources. You play as a different character this time around: Walker, the “last Rager of Vineland.” Also different from the first game’s player-character, Walker was born in the wasteland. His goal is to take down the Authority. Yes, the tyrannical authority in Rage was called the “Authority.” The name of the resistance group? The Rebellion. It’s id storytelling, and I love it. Walker will also be fighting bandit gangs and mutants, both returning from the original. In fighting all these adversaries, he will be using guns and gadgets. As an Arkist – one descended from those who were protected from the asteroid in Arks, I presume – he can also use special Nanotrite powers. These powers were not in the first Rage. One of them is a crush power, another a push power. Nanotrite power can also be fused with the guns, and there will be an Overdrive meter that, when charged, allows the player more power. There will also be vehicles which, no doubt, will be strapped with their own manner of weaponry. 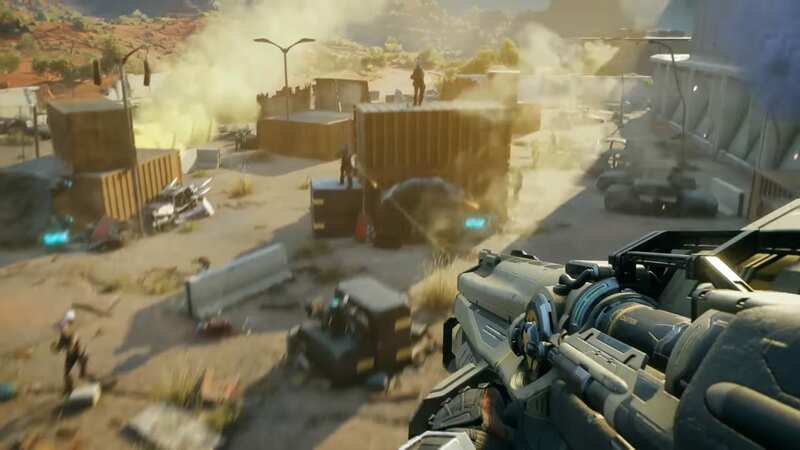 I had fun with the first, and the gameplay trailer makes Rage 2 look even better. Check it out below, and tune into Bethesda’s E3 showcase on June 10 at 6:30 p.m. PT for more on the game. Did you like the first Rage? Are you excited for the sequel? What do you think of the gameplay trailer? Let us know in the comments section below!